Its hard to get away from the fact that the Honor 8X is a sizeable beast. Honor doesn't state peak brightness in its materials, but does note that it can go as low as 2 nits in its eye comfort mode, and the application of eye comfort mode is certified by TUV Rheinland. Inside the phone is the Kirin 710, Huawei's latest mid-performer SoC with four Arm Cortex A73 cores and four Arm Cortex A53 cores, combined with Mali G51MP4 graphics. The CPU portion of this chip is plenty fast, although that graphics is not going win any awards on the latest 3D smartphone titles. It will be plenty for the Candy Crush or Toon Blast crowd. Even though the chip does not have an AI accelerator like Huawei's NPU, the phone will be able to take advantage of GPU Turbo, a neural network based technology which helps lower power during certain games for the chip to turbo for longer. At current this is only two games, but will expand to six with the release of EMUI 9.0. Similar to the Honor Play, which sits above the 8X in the product portfolio, the 8X will have dual rear cameras and a single front facing camera in the notch area. The two rear cameras are listed as a 20MP+2MP design at f/1.8, and is supported by AI-assisted stabilisation for long exposure shots up to six seconds. The rear cameras are also AI enabled with object recognition, layer recognition, and per pixel quality adjustments designed to improve photos (I use it a lot on the Honor 10, and it works well in the vast majority of cases). In video modes, we were told that the device can record at 720p120 and 480p at 480 fps. However in our test units, the UI offers 720p at 480 fps, which is interesting. Aside from the rear cameras on the rear, there is also a fingerprint sensor and a two-tone finish. The front camera is Honor's 'AI Selfie' camera, which is a 16MP design that supports 4-in-1 pixel combining for better low light performance. This works by taking a 2x2 square of one micron pixels and making them act like a bigger two micron pixel. The end result is a 4MP photo rather than a 16MP photo, but should offer better clarity. As one might expect, Honor also supports background replacement, AR skins, and a front facing portrait mode. 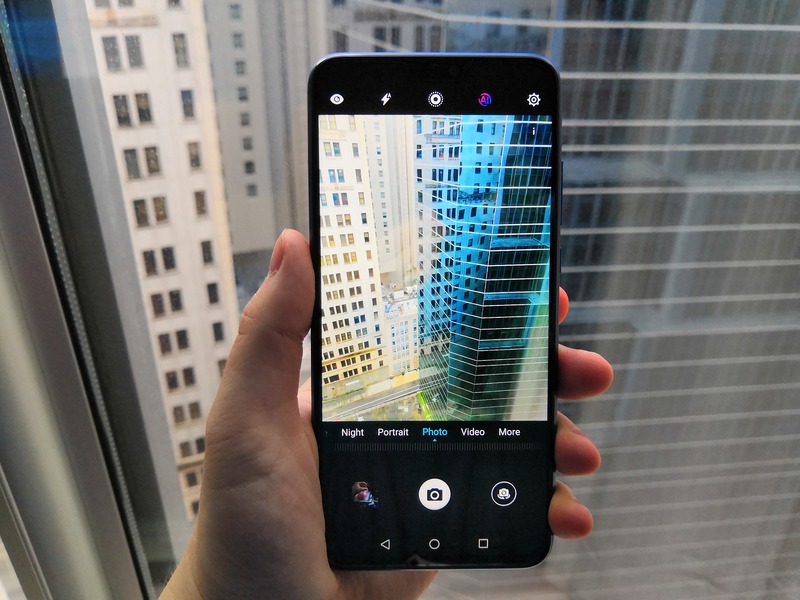 The front facing camera is in a notch, which means that users will have the notch issue. 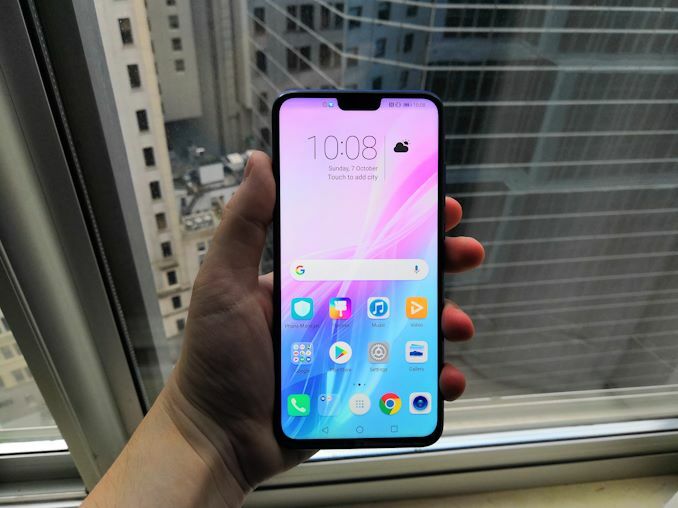 As will all Huawei and Honor devices, the area around the sides of the notch can be blacked out to make it look like there is no notch. However one thing I noticed with the 8X is how it deals with icons in that top bar: most notched phones put those icons way too close to the rounded edges, such that they can sometimes be clipped. Because the notch on the 8X is small, the icons are brought in closer to the center, making it easier to see them. If anything, it removes the issue of it not looking right when clipping happens, which I think is ultimately a good way of improving UX. As a mid range device, the memory and storage follow similarly, at 4 GB and 64 GB, which is equal or one notch below the flagship devices (some markets will see 4GB+128GB or 6GB+128GB). The battery comes in at 3750 mAh, which is certainly a Flagship-worthy capacity, though perhaps a little small for the size of this phone. There is a 3.5mm jack, although perhaps annoyingly there is no USB Type-C: we're going back into the olden times with microUSB for the 8X. The phone also supports dual Nano SIM plus a microSD at the same time. As a frequent international traveller, this is much appreciated. Wi-Fi on most models will be 802.11ac dual band, although a couple of variants will only be 802.11n 2.4 GHz. 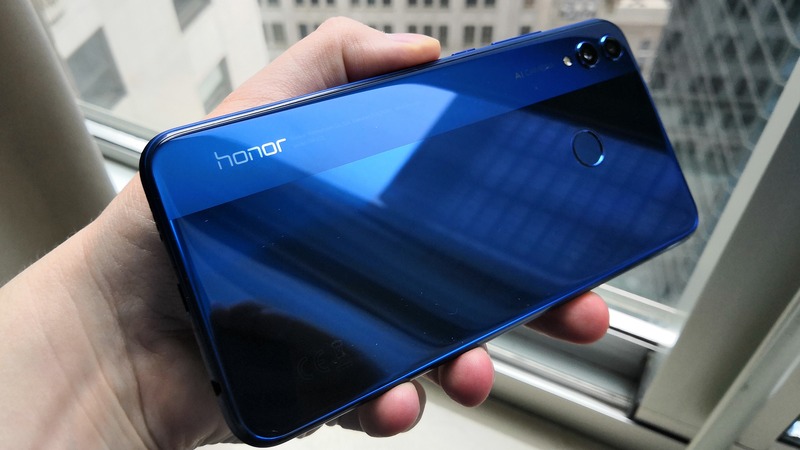 Other features on the device include what Honor calls 'elevator mode' to help users connect to networks more quickly. In the examples cited, their testing showed that the unit would reconnect to networks in Hong Kong within 5 seconds, while a major competitor Flagship would take between 8 and 60 seconds. Personally, with our sample, I've seen it reconnect to WiFi networks very quick, although to test this at scale requires a dedicated trip into London. Huawei says that they are using its AI to enhance connectivity speeds, though did not go into much detail. What they did state is that the antenna positioning in the device helps with this. 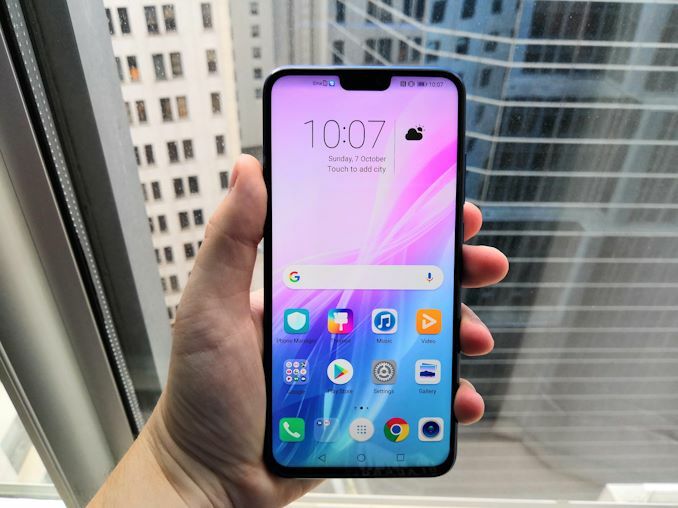 Honor stated that rather than using a dual corner antenna like most smartphones, they use a big U shape around the bottom edge to get a better uniform connectivity regardless of the angle of the device. Honor has three colors for the 8X, however only two will hit the UK: Blue and Black. The more exotic red will end up in regions where there is demand. Honor held back on declaring a price, saying we will have to wait until the device launch on October 10th. I have been using the phone on and off for a few days, and to be honest, I guess I'm more surprised at how easy to use I find it. I often do work on my phones - aside from emails, I write up news and reviews on them as well. I'm not sure if it's the bigger screen, or the fact that it feels snappy, but the Honor 8X is very easy to work on. The connectivity aspect, being fast to connect to access points, is a big plus when I'm on the London underground and we keep going in/out of LTE range. I think the biggest downside is that microUSB connector. Everything portable I own, laptops included, is now USB Type-C. I have to dig out old microUSB cables for the only device with this port. The argument for having microUSB is that the market this phone is aimed at is still on microUSB, although that was the argument back when the flagships were still microUSB as well. It's a weak argument - no-one has asked to borrow a microUSB cable from me for years. Speaking with a few others who also have the device, they feel this is the biggest let down as well. 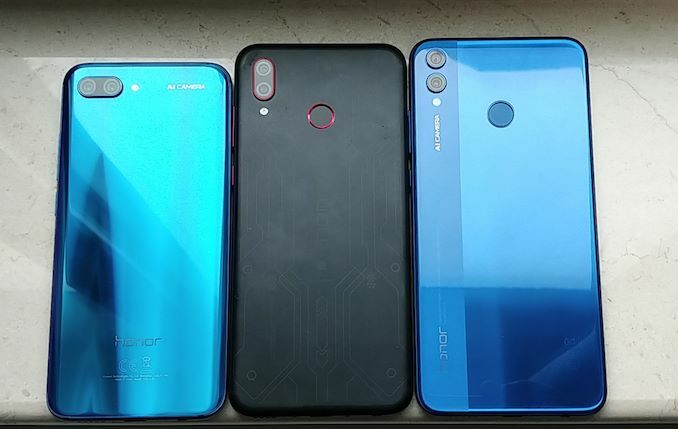 The Honor Play, which is meant to cost only slightly more, has a Type-C. 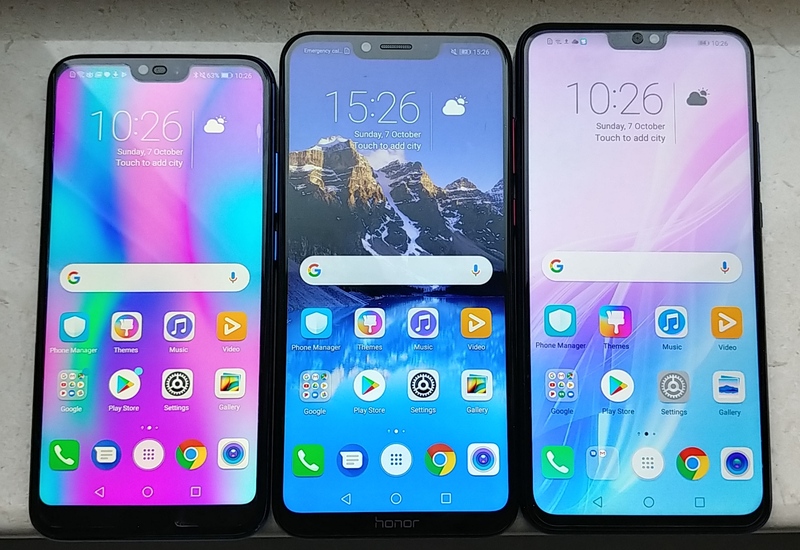 Comparing side by side with the Honor Play, the 8X is a bigger device with a slower SoC - that's going to reflect in the price for sure. Where the Play is meant to be aimed at gaming, this is more of a daily workhorse. One of the features that is going to be key long term is the camera - I have already heard some other journalists complain a little, because the AI mode does help disguise some cost saving on the device. I haven't had much experience with it yet, however the slo-mo mode does work - albeit for a total of one second or so per recording. At this point I suspect the buffer is full and it cannot record any more. The battery is reasonably big, but the device has a big screen and a good resolution, which can perhaps cancel each other out. The fact that the Kirin 710 inside uses Cortex A73 doesn't put it in the low power bracket, but the fact that the chip is built on TSMC's 12FFC does weigh in its favor. Looks like a pretty decent phone. It's nice to see that the high screen to body ratio is trickling down the price range, though I wish it wasn't exclusively in gargantuan sizes.